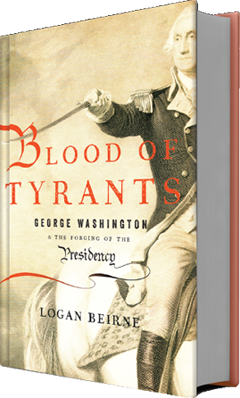 Blood of Tyrants (Encounter Books, 2013) reveals the surprising details of our Founding Fathers’ leadership and this history’s impact on today. Delving into the forgotten—and often lurid—facts of the Revolutionary War, Logan Beirne focuses on the nation’s first commander in chief, George Washington, as he shaped the very meaning of the United States Constitution in the heat of battle. Key episodes illustrate how the Founders dealt with thorny wartime issues: Who decides war strategy? When should we use military tribunals over civilian trials? Should we inflict harsh treatment on enemy captives if it means saving American lives? How do we protect citizens’ rights when the nation is struggling to defend itself? Beirne finds evidence in previously-unexplored documents such as General Washington’s letters debating torture, an eyewitness account of the military tribunal that executed a British prisoner, Founders’ letters warning against government debt, and communications pointing to a power struggle between Washington and the Continental Congress.